An award introduced by Mayor of London Sadiq Khan, The London Borough of Culture celebrates the city’s rich arts heritage, a quality of the capital revered globally. Often when naming arts organisations within London, it’s easy to think of the obvious iconic institutions synonymous with the city. What’s great about this initiative is that it highlights the capital’s nuances, drawing on various communities and how they shape their boroughs to curate activities and events unique to them. A total of 22 London Boroughs submitted applications in 2017 to be considered and in February 2018, it was announced that Waltham Forest had become the first recipients of the award. Creative Director of Waltham Forest London Borough of Culture Sam Hunt talks about the communities pivotal contribution to winning the bid, how artists can get involved and apply for funding and how the 2019 legacy will live on! A total of 22 London Boroughs submitted bids in 2017 to be named the first ever London Borough of Culture. What does this mean for Waltham Forest to be the first recipient of the award? As you say, a large number of London’s local authorities threw their collective hats into the ring to bid for the title. The fact that Waltham Forest won is a testament to the council and their proven commitment to supporting arts and culture and also the desire to ensure that culture is not an add-on or ‘nice to have’ but central to civic life in the borough. One thing that has become abundantly clear to me since moving to Waltham Forest is that the place is already a borough of culture, so much stuff happening here, all we need to do to some extent is shine a light on the amazing creatives who have chosen to call this place home. Waltham Forest’s aim is to get 85% of households participating in arts events, with a total of half a million visits to organised events. How will this be achieved? 85% of households is an ambitious target but for this kinds of projects to succeed we need to be ambitious. This is about engaging people to actively participate in the creation and delivery of the year. We’re going to achieve this figure through a number of ways; working with socially engaged artists, people who involve communities in the making of work, through working with schools to ensure that every young person in the borough feels involved in the year, through a year-long, borough-wide residencies programme and through our hugely popular grants programme. In the bid we promised ‘Culture on every corner’ and that’s what we’re going to do. A total of 12,000 people backed Waltham Forest’s application, showcasing how crucial the community’s voice is. How have the community shaped the overall strategy, from the application process to the final product? In a word ‘vital’, everything we’re doing is drawn from the communities of this place and in collaboration with them. All new commissions are designed to be co-created, for instance over 2,000 people were involved in the making of our opening show ‘Welcome To The Forest’ which attracted a 70,000 strong audience. This is absolutely about celebrating what makes Waltham Forest special. Our primary audience, collaborators and creators will always be the people who live here. Waltham Forest will host a year of arts events before passing on the baton to the London Borough of Brent. With a mixed programme consisting of installations, exhibitions and performances, what can audiences expect from the line up? A world class arts festival but one that could only ever happen here and now, this isn’t about putting on shows for the sake of putting on shows, this is about a singular celebration of place by the people who live here. We are welcoming back some of the more famous faces from the borough, but when we do, we’re asking them to do something a little different. What we’re interested in is celebrating and exploring the real cultures of London through the eyes of Londoners. It is of paramount importance that first and foremost this project is useful to the residents of Waltham Forest. Let’s use this to make life a bit better here, so very William Morris in that respect, both useful and beautiful. Our opening show was a good example of the scale and ambition of what to expect but there’s a vast year-long programme with, quite literally, something for everyone. It’s probably best to dive in at wfculture19.co.uk and come for a walk in the forest with us. Throughout the year there’ll be open calls for artists to have the chance to get involved and showcase work. How can performers take part? As projects go live there will be specific call outs, so best keep tuned to all the social channels for most up to date information. You can also keep an eye out on our website. Artists can apply for a Make it Work/Happen/ Local Grant, can you explain what these are and how to apply? These all form part of our Fellowship Funding programme. Make it Work was a fund targeted as small capital improvements to venues in Waltham Forest, this closed at the beginning of the year. Make it Happen provides funds for new arts and culture activities which will be presented as part of the London Borough of Culture 2019 programme. People can apply for funding from £100 to £30,000. Applications are open now and will close on 4th March. Make It Local provides neighbourhood focussed funding for arts and culture projects, delivered hyper locally by communities, applications are open now (deadline also 4th March) for grants up to £5,000. How can local residents get involved with events and become a Legend of the Forest? Anyone can join the hundreds of people already signed up to be a Legend of The Forest, and you don’t need to be a local resident. Follow the links on our website for more details. How will Waltham Forest continue with the London Borough of Culture legacy post 2019? One of the common misconceptions about projects like this is that it is actually about the year in the project’s title. 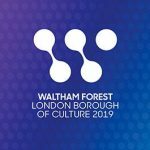 2019 has to be seen as both a way point on the long history of arts and culture in the borough (as mentioned Waltham Forest was already a borough of culture long before the title was awarded) and as the beginning of the next generation of ensuring culture is central to daily life in Waltham Forest. The fact that this project is delivered by the local authority helps us to ensure that it is the borough’s responsibility to continue with the positive impact of 2019. We are working with the existing cultural infrastructure of the borough, what that means is enhancing what we already have which helps us develop the capacity for arts and culture locally in a more sustainable fashion. We are putting in place an intensive cultural leadership programme, which will work with 100 young people from across the borough ensuring that any legacy is felt for many years to come. This is a key year in the long and rich history of arts and culture in Waltham Forest but also just the beginning of what promises to be a bright future where culture is central to daily lives.